Champion Thoroughbreds and John O'Shea secured this wonderful colt from the Karaka sale. He is a strong Ocean Park colt out of stakes winning and Gr1 placed Iffraaj mare TWILIGHT GRANITA. 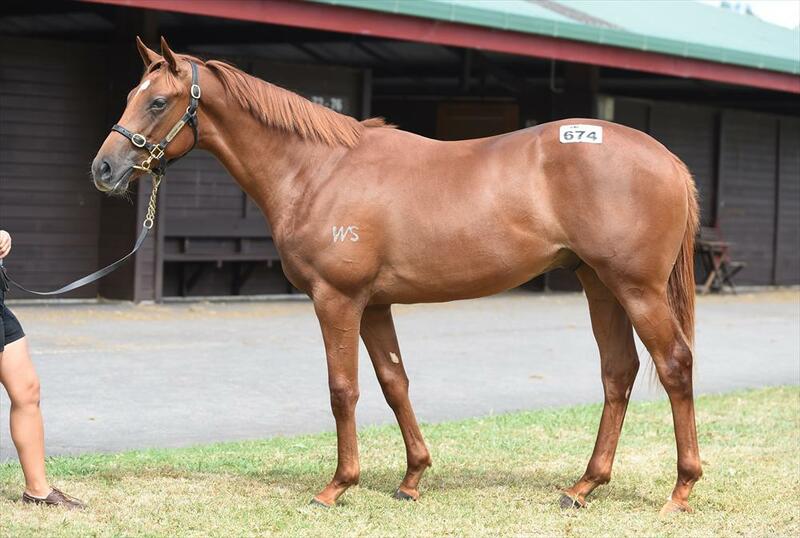 The colt described by John O'Shea as "one of the best walkers" at the Karaka complex was purchased for $70,000 from the Landsdowne Park Draft. The colt is from the family of Gr1 AJC Spring Champion stakes winner SAKANA and stakes performers Rohatyn, Angels Fly and Navy Brass. OCEAN PARK was horse of the Year in NZ in 2012-13. He was Champion Middle Distance Horse in AUS&NZ in 2012-13. He 8 wins from 1200m to 2050m, NZ$343,925, A$2,529,000, MVRC WS Cox P., Gr1, ARC New Zealand S., Gr1, Hawkes Bay Makfi Challenge S., Gr1, MRC Underwood S., Gr1, Caulfield S., Gr1, Wellington S., Gr3, ARC Trevor Eagle Memorial 3YO H. and 2nd in the Gr1 ATC Rosehill Guineas. Ocean Park's progeny continue to step up and make their presence felt, he currently sits in fourth position on the second season sires ladder with an impressive 46% runners/winners strike rate (as of 23rd August 2018) increasing by 5% from January 2018. In 2017-2018 season his progeny ran second by the shorts possible margin in the GR1 Queensland Oaks, the Gr1 NZ Derby and the Gr2 Queensland Oaks. This colt is all business. He is a very relaxed horse with a fluid stride. There is plenty of scope about him and he offers potential buyers fantastic value for a strong pedigree and impressive physical.